Dublin-based comedian, Kevin McGahern puts Ireland’s car culture under the spotlight for the latest “Reality Bites’ documentary on RTE 2. The show promises to take us to the heart of Ireland’s modified car scene by getting inside the hearts and minds of the people who’s world revolves around all things automotive. In an attempt to understand why many young people choose to spend substantial money on their cars, the Republic of Telly front man attends car park meets to look at the motors on show and witnesses a diffing session. RTE state that documentary looks at the high risks generated by this “extreme form of driving” – not just for other road users, but for the young people involved as well. McGahern also talks to people who are working to positively influence young driver behaviour. Before the programme has even aired, debate has started about the editorial balance of the show. Contributors to popular web forum boards.ie say the programme makers turned down the opportunity to film car enthusiasts taking part in properly planned track days at Mondello Park race circuit. Instead, they suggest that RTE have deliberately focused on the minority who organise illegal drag races and cruises. Influential motoring journalist and Speedhunters contributor, Paddy McGrath echoed this view. Earlier this week, he took to Twitter to express his belief that the documentary had “been purposely skewed” and as a result would be “giving it a skip”. McGrath also confirmed suspicions initially raised in other forms of social media by reasserting the producers turned down the opportunity to go to safe, organised events. 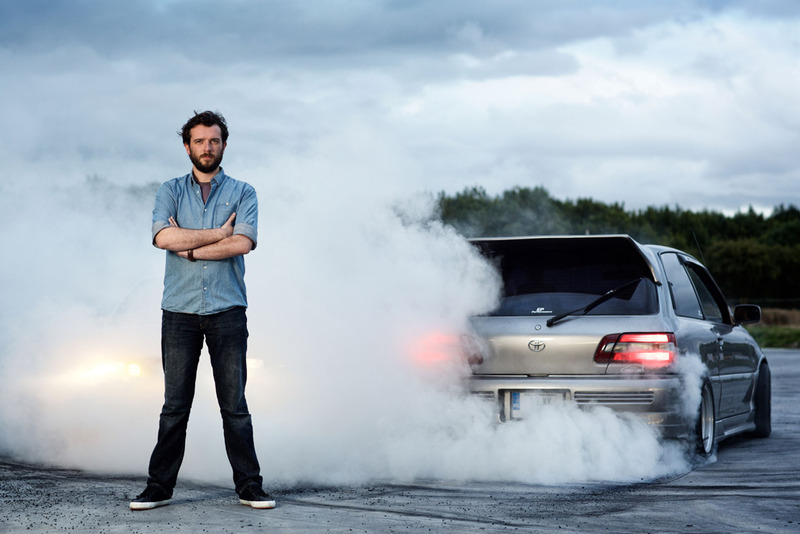 You can watch Kevin McGahern’s Fast & Furious on RTE 2, Thursday 5th November at 9.30pm. I'm intrigued by this programme and will be interested to see how it turns out. Ireland has had a long history of back-road japery and it's how many started before moving into motorsport. However, if the programme paints every person that takes an interest in cars as some mad-cap, street racing, tarmac terrorist, as it has been inferred, then that's another issue. Hopefully this will be worth a watch, is RTE2 on Sky? | Hopefully this will be worth a watch, is RTE2 on Sky? Saw the ad for this and must give it a watch. Looks interesting. It does irritate me slightly though that whenever a show like this airs about car culture in the UK/Ireland, it's almost always promoted with footage or photos of a car surrounded by tyre smoke. It's become the norm that car enthusiasts on a whole are symbolised by this image of diffing/tyre smoke and it's associations with hooliganism by anyone who isn't into cars. Diffing is only one small part of the whole car culture in Ireland - there's the Cars & Coffee meets as well, the trackdays, the owners club get togethers, etc. But I guess footage of car enthusiasts having a relaxed get together or putting their cars through their paces legally on track will never look as sensational. Seen this advertised last night on RTE and set it to record. More to the point, is that Starlet GT above rear wheel drive?! Think so @gary87 Great points @Gaz and I agree. RTE look to have went for the stereotype option and struck gold. I suspect they found it quite easy to get a group of impressionable young lads together who were all to eager to perform on camera and pretend that Ireland is the street racing capital of the world. That's way better TV than a load of beards drinking hot beverages and discussing the merits of track day tyre compounds. Kevin McGahern is quite the mickey taker in his normal role, so I suspect he won't go easy on people. Anyway, the proof will be tonight! | Seen this advertised last night on RTE and set it to record. More to the point, is that Starlet GT above rear wheel drive?! Thought all those first Starlets were RWD?